Hello Hello! It’s been a little more than three weeks since my last post. I’ve finished up the requirements for the MBA, so I should be back to writing posts with some regularity. Since today’s Monday, I thought I’d restart that series of posting about a cognitive bias on Mondays. Today’s cognitive bias: the halo effect. 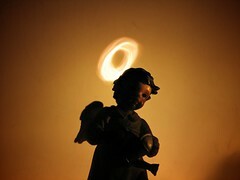 The halo effect is essentially believing that someone is good at something because they were good at something else. For instance, celebrities are often cited when talking about the halo effect. Many regard celebrities as beautiful and as a result of the halo effect, surmise that these celebrities are also smart (when in fact, this is not always the case). Two different videotaped interviews were staged with the same individual—a college instructor who spoke English with a European accent. In one of the interviews the instructor was warm and friendly, in the other, cold and distant. The subjects who saw the warm instructor rated his appearance, mannerisms, and accent as appealing, whereas those who saw the cold instructor rated these attributes as irritating. These results indicate that global evaluations of a person can induce altered evaluations of the person’s attributes, even when there is sufficient information to allow for independent assessments of them. Furthermore, the subjects were unaware of this influence of global evaluations on ratings of attributes. In fact, the subjects who saw the cold instructor actually believed that the direction of influence was opposite to the true direction. They reported that their dislike of the instructor had no effect on their ratings of his attributes but that their dislike of his attributes had lowered their global evaluations of him. It’s been quite awhile since I last did a post in my series of ”Who I’m Following” on Twitter. In fact, it’s been 6 months! That’s almost half as long as I’ve been participating on Twitter. In looking at the some of these old posts (see below) of who I’m following, I seemed to have unfollowed a number of folks. I wish I had kept a list of the people I’ve unfollowed, so I could offer reasons as to why I decided to unfollow some folks. Briefly, I can say that sometimes the reason is because the person isn’t very active on Twitter. Other times, it’s because I became frustrated with the amount of negativity (sometimes in the form of the person retweeting “trolls” or people being unnecessarily negative in the form of ad hominem attacks). I most certainly won’t be able to get to all the new people I’m following on Twitter (it’s approximately doubled! ), so look for a few of these posts in the coming weeks (or months). @wired: Wired is the digital home of Wired Magazine and it acts as a daily technology site. @Austan_Goolsbee: Goolsbee is a Professor of economics and Economics at the Booth School of Business (University of Chicago). He is also the former Chairman of the Council of Economic Advisers. @R_Thaler: Thaler is a Professor of Behavioral Science and Economics at the Booth School of Business (University of Chicago) and the co-author of Nudge. @rickmercer: Mercer is a Canadian comedian and political satirist. He’s an alumnus of This Hour Has 22 Minutes and is currently the host of the Rick Mercer Report. @TPCarney: “Timothy P. Carney is the Washington Examiner‘s senior political columnist.” Carney is also a prominent conservative voice. @bobraeMP: Bob Rae is the current (interim) Leader of the Liberal Party (of Canada). He was previously the leader of the Ontario New Democratic Party. @AmbassadorRice: Susan Rice is the US Ambassador to the United Nations. According to Wikipedia, she is not related to Condoleezza Rice. @realjohngreen: I just wrote a post about John Green’s Crash Course in World History. Check it out! @AmazingPics: This Twitter feed regularly posts some of the best photographs. You’ll want to see these. @Randazzoj: “Joe Randazzo is currently the editor of the satirical newspaper, The Onion.” As you might think, his tweets are often sarcastic (and funny). @KenJennings: Of Jeopardy! fame. He’s written a bunch of books, including Maphead. His tweets are often intended to be funny. @AJELive: “Breaking news alerts and updates from Al Jazeera English, a 24-hour news and current affairs channel.” By now, you should all know that I’m a big fan of different perspectives (here or here). @brianstetler: A really good person to follow if you enjoy things in “meta.” Stetler reports on TV & Media for the New York Times. @daveweigel: Dave Weigel is a political reporter for Slate. While his main focus is politics, his tweets are often laced with humor. @markknoller: Mark Knoller is a CBS News White House Correspondent. Similar to Stetler, he sometimes comments on what other networks are reporting. I’m well past my self-imposed 1000 word limit, but I wanted to begin to squeeze a bunch more feeds into one post (because I have a lot to make up in this series). As always, I welcome your suggestions in the comments or tweet me! So, without further adieu, here are the people I have followed since my last post. @jonahlehrer: Jonah writes on psychology, neuroscience, and the relationship between the humanities and science. You can find his columns/posts on the Wall Street Journaland WIRED Science. @sciam: Scientific American has been covering science news for the last 165+ years. A reputable source of science news for certain. @jonasTSN1050: Jonas is one of my childhood friends (!) and he covers the Toronto Maple Leafs for TSN Radio 1050. @RobLowe: Rob Lowe played one of my favorite TV characters, Sam Seaborn, and often tweets about an assortment of things including politics and Parks and Recreation. @melissa_e_brown: I went to high school with Melissa  she’s one of the smartest people I know. Shes just finishing up her MBA at Tuck and who knows what wonderful things shell contribute to the world. @richardbranson: Richard Branson is probably one of the most successful serial entrepreneurs — ever. @RepresentPledge: One of the most important documentaries — bar none. If you haven’t seen it, go see it — right now. @LeafsBB20: Brian Burke is the current GM for the Toronto Maple Leafs and he’s got a reputation for disruptive tweets. @McCainBlogette: Meghan McCain is the daughter of former Republican Presidential Nominee, John McCain. @JustinWolfers: He is a very reputable economist and has a number of appointments at universities and think-tanks. @ThisIsSethsBlog: Seth Godin is one of the most influential people in business today, especially with regard to marketing. @wsjgraphics: “Information graphics and data from The Wall Street Journal.” I’ve previously written about my affinity for data (in visual form). @JenSiebelNewsom: Jen is the writer/director/producer of the documentary I mentioned earlier, Miss Representation. @sdwillia: I went to university with Shane and he currently works in the non-profit industry. He’s sure to do great things! @AncientProverbs: This Twitter account provides proverbs and quotes. I do enjoy a good quote. @KarlRove: Ken Wilber, a modern-day philosopher in his own right, has said that Rove has read Integral Theory. @NYTimeskrugman: I have written about following Paul Krugman before. Seems like I unfollowed him and refollowed him. @DeepakChopra: Do I really need to tell you who Deepak Chopra is? Just in case I do, go here. @sbnation: A sports network of over 300 blogs maintained by part-time writers who love their team. @JoeNBC: Joe Scarborough is the co-host of Morning Joe and is a former Congressman from Florida. @biologyofbelief: This is the official Twitter account for Bruce Lipton not to be confused with @brucelipton. @HamOntCakeLady: Erin Andrews, (one of my sisters-in-law), is affectionately known as Hamilton, Ontario’s Cake Lady. @cbellatoni: Christina Bellantoni is the Politics Editor for PBS NewsHour. She was also a fellow at the IOP this past fall. @michaelbd: Michael is a Politics Editor for Business Insider and is a noted conservative voice. @davidfrum: Frum is a former economic speechwriter for George W. Bush and clearly, is a noted conservative. And there you have it. You’re all caught up on the the accounts I’m current following on Twitter. As always, if you have any recommendations (based on the flavor of the people I follow in Parts 1 through 7), feel free to leave me a note in the comment section of tweet me. @LouiseHay: Louise Hay is the author of one of the most the most famous self-help books of all time – You Can Heal Your Life. It lends credence to the idea that your thoughts can affect your biology. @GreatestQuotes: “A collection of quotes that will challenge, motivate and inspire you to be the best you can be.” Curated by Sinead Duffy, Personal Development Trainer & Coach. @BuddyRoemer: He is a former Governor & Congressman and is currently running for President in 2012. He has bee notoriously held out of Republican debates, but has some intriguing ideas. @CNBC: CNBC is a cable television business news channel. They are dedicated to covering business headlines and financial markets. @levarburton: LeVar Burton played the lovable character Geordi La Forge from Star Trek: The Next Generation. He’s also a big proponent of literacy. @justinptrudeau: Justin Trudeau is the son of the famous Canadian Prime Minister, Pierre Trudeau. Justin has gone on to become a politician in his own right. @nycole_turmel: Since the passing of Jack Layton, Turmel has filled in as the interim leader of the NDP. Shortly, the NDP will pick their leader. @Dahlialithwick: Dahlia is a Canadian (eh?) and mostly tweets about issues regarding law and the court system. @Number10gov: This is the account of the current Prime Minister of the United Kingdom, David Cameron. I’m not sure, but I think the account will stay with the Prime Minister’s office, regardless of party. @melindagates: Melinda Gates is the co-founder and co-chair of the Bill & Melinda Gates Foundation, which is the largest wealthiest charitable foundation. @JimCarrey: Jim Carrey was born in Newmarket, Ontario (I lived there when I was younger!) and is one of the funnier comedians of today. @TheLewisBlack: Lewis Black is a stand-up comedian and is a regular on The Daily Show with Jon Stewart. His tweets are often funny. @Steele_Michael: Michael Steele is a former RNC Chairman. He is a contributor to MSNBC (often representing the conservative viewpoint). @anamariecox: She is currently a Washington correspondent for GQ and often has interesting commentary on the political debates. @fourthofjulie: Julie is one of my friends from SVSU. She currently works for the American Red Cross. @DalaiLama: The Dalai Lama is the most influential figure in Tibetan Buddhism. His “reign” has lasted over 60 years! @MaddowApp: This twitter account is aimed at iPad users, but during “The Rachel Maddow Show,” it often tweets links to articles of which Maddow is referring. @joestiglitz: Stiglitz won the Nobel Prize in Economics in 2001 and is a very well respected academic. @AliVelshi: I used to watch Ali back when he was on ROBTv (Report on Business Television). I always found him to be very intelligent. @SSIReview: The Stanford Social Innovation Review: Informing and inspiring leaders of social change. @jack_welch: Jack Welch is one of the preeminent businessmen of our time. It’s great to be able to follow his commentary via Twitter. @EconBizEd: Tweets to articles in The Economist that have to do with news or insights for business education. @ECONdailycharts: I like to view information by way of charts, so it’s great that The Economist has an account dedicated solely to charts. @EconBizFin: Tweets from this account are from The Economist and have to do with business, finance, or economics. @ModeledBehavior: This is the Twitter account for a blog and there are often tweets about the economy, business, and finance. @LaMonicaBuzz: Paul La Monica tweets — often — about stocks (what’s up, what’s down) and the economy. He’s quite a barometer for the market. @Richard_Florida: Richard writes about social and economic theory. He’s current a Professor at the University of Toronto. @Nouriel: Roubini is a rather famous economist. In fact, he predicted the collapse of the US housing market and the worldwide recession. @felixsalmon: Felix Salmon is a noted finance blogger for Reuters. He’s won awards for his scientific reporting. As I said earlier in this post, I’ll do my best to catch up to the updated list of who I’m following in the next couple of weeks. As always, if there’s someone you think I might like to follow, leave me a comment, send me an email, or tweet me. @joshrogin: Rogin covers national security and foreign policy for Foreign Policy (magazine). He often tweets his column and other things that come up in the news that have to do with national security or foreign policy. @MHarrisPerry: Melissa Harris-Perry is a professor of political science at Tulane University. She guest hosts for Rachel Maddow and Lawrence O’Donnell from time-to-time. She’s also writes for The Nation. @DylanRatigan: Dylan Ratigan is the host of The Dylan Ratigan Show. He also, somewhat famously, went on quite a rant about the political system in the US. @Thom_Hartmann: He hosts a progressive radio show that has nearly 3 million listeners a week. Interesting to me, before being a nationally syndicated radio host, he was a psychotherapist. @RBReich: He served in the Ford Administration and as the Secretary of Labor in the Clinton Administration. Currently, he’s a professor at Berkeley. @donnabrazile: In 2000, Donna Brazile became the first African-American woman to lead a presidential campaign (Gore). She’s currently a professor at Georgetown University. @politifact: Politifact is a project where the staff, “fact-check statements by members of Congress, the White House, lobbyists, and interest groups.” This is very helpful in judging the validity (or truth) of some of the things said by people involved in politics. @BigBang_CBS: This is the Twitter feed for the popular TV series, The Big Bang Theory. I rather enjoy the characters and so too, does famous astrophysicist Neil deGrasse Tyson. @Mason_SOM: I’m currently (2011-2013) a graduate student at George Mason University in the School of Management (MBA program). This is the twitter feed for Mason’s school of management. @wolfblitzercnn: Wolf Blitzer is CNN’s lead political anchor and is often seen as the host of CNN’s The Situation Room, which, in its current iteration, airs from 4pm to 6pm weeknights on CNN. @jeremyscahill: Scahill is the national security correspondent for The Nation. He also wrote Blackwater: The Rise of the World’s Most Powerful Mercenary Army. @David_Gergen: Gergen is a Senior Political Analyst for CNN. He’s also the Director for Public Leadership and a Professor of Public Service at the Harvard Kennedy School. @Revkin: Revkin writes the Dot Earth blog for the New York Times. “Dot Earth tracks relevant developments from suburbia to Siberia. @Eugene_Robinson: Robinson is a Pulitzer Prize winning columnist for the Washington Post. He’s also an MSNBC analyst and author. @davidaxelrod: David Axelrod was the chief strategist for Barack Obama’s 2008 presidential campaign. Afterwards, he remained a senior advisor to President Obama. @TheCharter: “The Charter for Compassion is the result of Karen Armstrong’s 2008 TED Prize wish.” Check out the video of the TEDTalk. @ladygaga: I’m sure you recognize the name (Lady Gaga). I decided to follow (and subsequently look into her message) when I first clicked onto her twitter profile and found that she was quoting Osho. @Pres_Bartlet: President Bartlet is the fictional character from the television series: The West Wing. Whomever tweets from this account captures the essence of how President Bartlet would tweet, in my opinion. @TheFix: Chris Cillizza writes for The Washington Post and is a contributor to MSNBC. He often live-tweets the debates or other important political events. @chrisrock: Chris Rock is one of my favorite comedians, especially when he does bits like this one that speak to the dysfunctional nature of some of the things in this world. @johnlegend: I was first introduced to John Legend’s music during my undergraduate degree. I can be quite particular about the music I listen to, but for the most part, I like Legend. @BillyCrystal: My first introduction to Billy Crystal was in the movie When Harry Met Sally… A great movie, indeed. Interesting fact: Billy Crystal has hosted the Oscar’s the second most number of times (currently 8, soon to be 9, which is well behind Bob Hope with 18). @farrellybros: The Farrelly Brothers have made some hilarious movies through the years (written and/or directed). I wonder if The Three Stooges (movie) will prove to be as successful. @MyInfographics: This twitter account focuses on tweeting infographics, particularly those from their own site, which is a collection of the best infographics from around the web. @hillharper: Hill Harper is best known for playing a character on CSI, but I initially followed him because of his inclination to empowering tweets. I’m nearing my self-imposed word limit of (1000 words), so I’ll end this post for now. It’s worth noting that I’ve gone through and “purged” some of the accounts I’ve followed in the past (including some of the accounts in this post) and subsequently, added a slew of new accounts. Look for some of them in Part 6 of this series. And as always, if you have suggestions, leave a comment, send me an email, or tweet me. This is a continuation of the post I did the other day (Part 3) of the updated list of people I’m following on Twitter. You can find Part 1 (here) and Part 2 (here). @mental_floss: The profile claims that they tweet “amazing facts from the people at mental_floss magazine.” I wholeheartedly agree with that claim. @pourmecoffee: I follow this particular Twitter feed because it usually has some sort of quirky or funny thing to say about politics or the news. If it’s not something “funny,” it’s usually some kind of cool fact (similar to @mental_floss). @freakonomics: If you haven’t read Freakonomics or SuperFreakonomics, I highly recommend it. My post about Economics contained a video with the authors of these two books. This Twitter accounts posts updates to the Freakonomics Blog. @The_Infographic: I mentioned the other day my inclination towards statistics (and even more so, statistics represented in a visual format). This Twitter account tweets the #dailyinfographic, which is a pictorial representation of a subject and statistics about said subject (the subject varies with each infographic, of course). @GreenProgress: This Twitter feed posts updates about green technology and the environment, as well as research and even advice from time-to-time. @flowingdata: More of the same with regard to data and visual representations of said data. He wrote an excellent book called “Visualize This,” which you can read more about here. @infobeautiful: Once again, more of the same with regard to data and visual representations of said data. There are some cool things that come from this Twitter feed. @JerrySeinfeld: As with Conan, Fallon, and the other comedy-related people I’ve mentioned before, it’s important to laugh. I used to love watching Seinfeld (the show) and now I love following Seinfeld (the Twitter account) because he has some great one-liners. 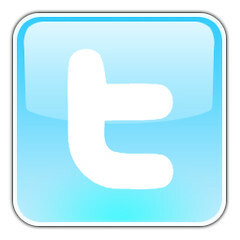 @twitter: The official Twitter account of Twitter. There are some interesting things about Twitter that are tweeted now and again. For instance, did you know that Twitter is now in Dutch and Indonesian? @EricStangel: Stangel is the head writer for the Late Show with David Letterman, and according to his profile, he was named one of Time’s 140 Feeds to Follow. @ResearchBlogs: This feed collects the best blog posts about peer-reviewed research around the internet. Since peer-reviewed research is wide-ranging, there are a variety of subjects that are tweeted about. @infosthetics: Another data visualization Twitter feed. An interesting fact about this one: the person behind it is an Associate Professor at K.U.Leuven (a University in Belgium). @GillianDaws: A really smart person who tweets about everything from soccer to food to farmer’s markets and everything in between. @GeekStats: I love statistics. This particular Twitter account offers up some stats that you probably wouldn’t have otherwise known. @ThinkTankedWaPo: From its Twitter profile: “Allen McDuffee reports on the world according to think tanks.” I think (ha, no pun intended) that there can be important information gleaned from think tanks. @lessig: Lawrence Lessig is the the founder of Creative Commons. He’s also a professor at Harvard and is quite the political activist. @NYTimeskrugman: Paul Krugman is a professor of economics at Princeton University. He also writes for the New York Times. He also won a Nobel Prize in economics in 2008. @mitchellreports: Andrea Mitchell is the Chief Foreign Affairs Correspondent for NBC News. She also has a pulse on the happenings in Washington. @theneweconomics: The New Economic Foundation is an independent think tank and is one of three biggest firms in the UK. This is the organization that launched the Happy Planet Index. @fixcongress: Fix Congress is part of the “political activism” from @lessig. While I might not necessarily agree with the “hows,” of this movement, I agree with the premise. @OpenSecretsDC: Open Secrets is the website for the Center for Responsive Politics. The main thing I like about these guys is they write about who donates to which campaign (and how much). 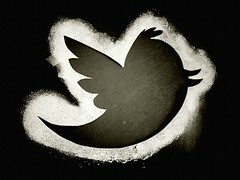 @davos: The Twitter feed of the World Economic Forum. There is an annual meeting in (Davos, Switzerland) of business leaders and international leaders, among others, who come together to discuss issues facing the world. @Ed_Miliband: Ed Miliband is the Leader of the Labour Party in the UK. I tend to lean towards liberal/progressive views, so I tend to be interested in parties in other countries who support these same ideologies. @LukeRussert: Luke Russert is following in the footsteps of his father, Tim Russert. He covers Capital Hill (in Washington) for NBC News. @ariannahuff: Arianna Huffington is best known for being the co-founder of The Huffington Post. If you get the chance, I’d highly recommend reading her biography. And there you have it. You’re up to date on the current list of who I’m following. Maybe in another month or so, I’ll do another post (if I’ve accumulated a bunch more people to follow). As always, feel free to follow @JStanghini! Note: I wrote this post in advance, so look for @joshrogin and @MHarrisPerry in Part 5 of this series. It’s been over a month and a half since I listed the people I’m following on Twitter in (Part 1 and Part 2) and the number of people I’m following has nearly doubled (or maybe it has more than doubled? 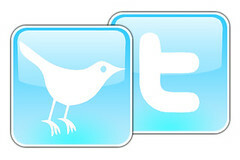 ), so I thought I would do another post *new* listing the people I’m following. @TRPF: This is the organization by famous scientist, Nassim Haramein. Their website can be found at The Resonance Project. I highly recommend checking out some of Nassim’s videos. He’s an uber-smart guy and has some fascinating ideas about the unification of all science and philosophy. @tferriss: The brilliance behind The 4-Hour Workweek and more recently, The 4-Hour Body. If you’re into efficiency, Ferriss is your guy. He has outlined some very interesting principles for reducing the amount of time you spent at work and for reducing the amount of time you need to spend at the gym (to get into better shape). @DanielPink: Pink is a former speechwriter for Bill Clinton and a very smart guy. His book Drive is a must-read for anyone who wants a better understand what motivates humans. He also writes entertaining blog posts, from time-to-time. @MMFlint: I first learned of Michael Moore during my freshmen communications course. We were having a discussion about Bowling for Columbine. Michael Moore is extremely liberal and it’s interesting to see how he criticizes even the Democrats. @BreakingNews: I really like this particular account because the news that is offered from it is (from what I’ve seen) relatively neutral. I’ve only ever seen “facts” tweeted from this account. @ConanOBrien: I think it’s important to laugh and many of the tweets that I see from Conan are highly entertaining. I don’t watch his show, but it’s nice to get a dosage his comedy 140 characters at a time. @PressSec: This is the official White House Twitter account for the White House Press Secretary. This account doesn’t tweet very often, but when it does, there’s usually something important being said. @TheDailyStat: This account publishes (once a day during weekdays), Harvard’s The Daily Stat. I really like statistics and it’s even better when they are in this short snippet and easy to digest. @michiokaku: Kaku is one of the co-founders of string field theory (quantum science-y stuff). I’ve read a number of his books (they’re quite easy to read!) and I really liked his BBC special on Time. @kingsthings: This is the Twitter feed for Larry King. Larry posts some interesting things from time-to-time. He’s interviewed some of the most important people of the last half century, too, so I’d say he knows a thing or two about the world. @jimmyfallon: I follow Jimmy Fallon for the same reason I follow Conan O’Brien – comedy. It’s important to laugh and Fallon has some great one-liners! @MaddowBlog: Similar to the first person I followed (@maddow), this feed is the blog of the The Rachel Maddow Show. This particular feed tweets some of the blog posts that are posted to the blog. It’s nice to have it in a Twitter feed rather than a newsletter or always having to check the site for updates. @RepKucinich: Somewhere along the way, I realized that there was more than one account for (@Dennis_Kucinich). I noticed that they tweet slightly different things, so I now follow both. @tomhanks: I really like some of the roles that Tom Hanks has played and I’ve also enjoyed watching interviews with him (to get a sense of the kind of person he is). As such, I now follow him. @JuliaRoberts: My favorite actress as a young boy. She has yet to tweet anything, but this is her verified account, so should she decide to tweet, I’ll know it! @SteveMartinToGo: I follow Steve Martin for the same reasons I follow Conan O’Brien and Jimmy Fallon — comedy!! Martin has a different sense of humor, but I still find it entertaining. @Lawrence: I consider Lawrence O’Donnell to be a really smart guy. I don’t necessarily always catch his show (The Last Word), but I think he presents an intelligent perspective on the things that are happening in the news. @billmaher: While he might come across a bit harsh, he offers very blunt coverage of what’s happening in the news. You could almost say he’s “rougher” version of The Daily Show or The Colbert Report. @ManagementTip: Like the (@TheDailyStat), this Twitter feed is for when there is a new Management Tip posted. I thought it would be wise to stay current with management tips seeing as though I’m about to begin an MBA program. @aplusk: I was reluctant to follow celebrities who had an enormous amount of followers (A. Kutcher has over 7 million as of this post), but I kept an eye on what Kutcher tweeted. It’s a nice blend of a variety of topics, so I’m in! @WhoopiGoldberg: Similar to (@JuliaRoberts), Whoopi Goldberg is saying she won’t participate in Twitter very much, but is just putting up a Twitter account so that people don’t steal her ID. I’ve read some of her interviews and liked her stuff. Hopefully, she decides to engage with her followers and Twitter. @pewresearch: Just like I’m following @TheDailyStat, Pew Research tweets all sorts of interesting (at least what I perceive as interesting) statistics. @mattyglesias: Matt Yglesias writes for a number of different blogs (and he posts links to them once written). He’s known as being a pretty loud voice from the liberal/progressive point of view (in the United States). @TheEconomist: This is one of the most reputable international publications. It has been around for over 150 years and publishes very important perspectives on a number of issues. @tedtalks: I wrote about TEDTalks in yesterday’s post, so you know how I feel about how important they are. This feed tweets when new TEDTalks are uploaded. If you like TEDTalks, this is a good account to follow. I’m just about at 1000 words. 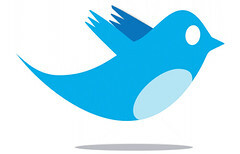 Check back soon for Part 4 of “Who I’m Following.” In the meantime, feel free to follow me.